In honour of Earth Day, we compiled six surprising ways that trees are improving the lives of millions of small farmers around the world. Trees protect the earth, feed communities and play multiple essential roles in the livelihoods of rural people living around the world. Earth Day, celebrated annually on 22 April, is an occasion to honour the close connection we maintain with Mother Earth. This year, organizations are raising awareness about the important function of trees in sustaining and protecting our planet. This is true for small farmers too. Trees play a vital part in their livelihoods and communities, as they nourish the people and help conserve the land that they live on. Did you know that trees help combat climate change by absorbing excess and harmful CO2 from our atmosphere? In fact, in a single year, an acre of mature trees absorbs the amount of CO2 produced by driving the average car 26,000 miles. That's the same distance as going right around the world at the equator... and a little bit more. Trees also clean the air we breathe when they absorb odours and pollutant gases (nitrogen oxides, ammonia, sulphur dioxide and ozone) and filter particulates out of the air by trapping them on their leaves and bark. Trees can help communities achieve long-term economic and environmental sustainability and provide food, energy and income. This is why IFAD works with small farmers on projects that involve the sustainable management of trees and forests. How are trees important to the lives of small farmers? Let us count the ways. Trees are vital for our water supply. They influence how and where rain falls, they filter and clean our water, and are therefore essential for agricultural practices. Like thousands of poor farmers living on the eastern slopes of Mount Kenya, Christine Mugure Munene used to depend on seasonal rains to water her crops. 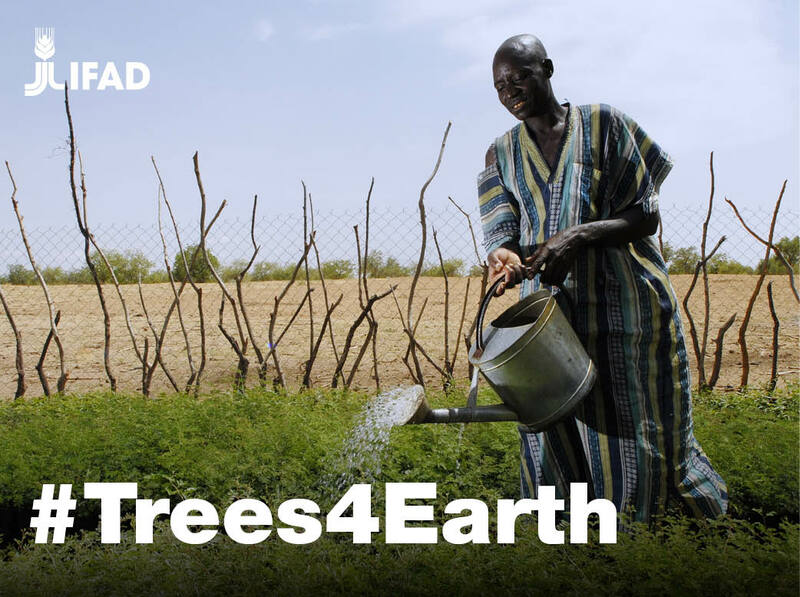 Thanks to a pilot project supported by IFAD, more than 7 million seedlings have been planted in the water catchment along the eastern slopes of the mountain and now trees keep water flowing in the region. ''When you have trees in a water catchment, it helps to ensure that when it rains the water is held into the soil and it joins the river basin slowly. This ensures the sustainability of the flow of the rivers," says Paul Njuguna from the Mount Kenya East Pilot Project. Now, farmers in the community are working together to conserve water resources by protecting rivers and planting trees. Poor soil fertility is one of the main obstacles to improving food production in Africa. 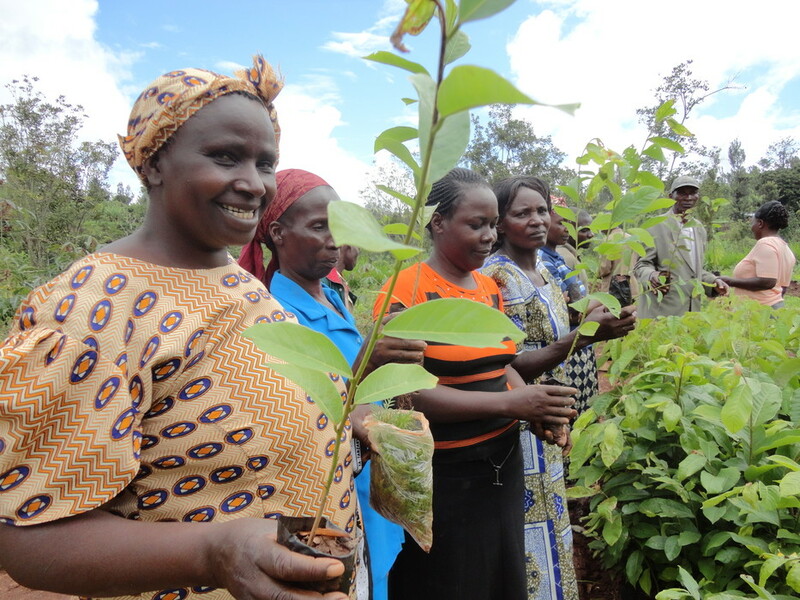 A study carried out by the World Agroforestry Centre (ICRAF) in 2011 showed that planting trees that improve soil quality can improve soil fertility, reduce erosion and help boost crop yields for African farmers. 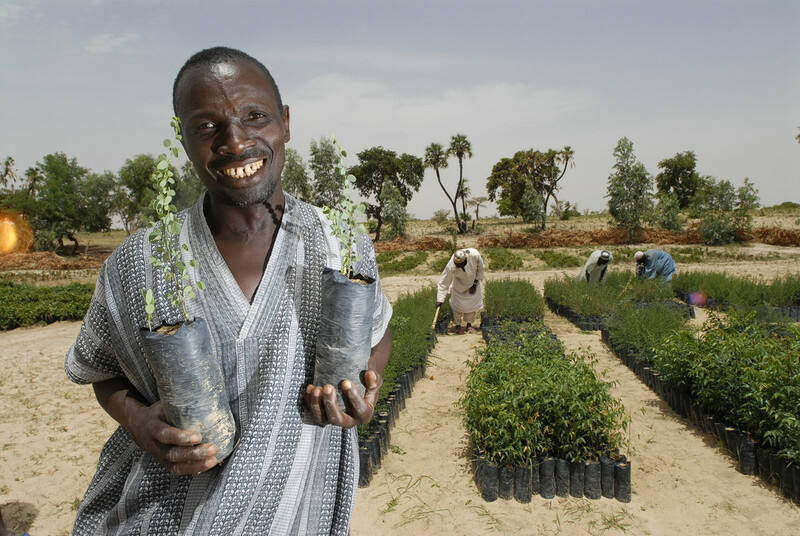 In Niger, an IFAD-supported reforestation project in the Maradi and Zinder Regions has shown successful results. More than five million hectares of trees have been planted, according to Chris P. Reij, Sustainable Land Management specialist and Senior Fellow of the World Resources Institute, who recently gave a lecture on climate change at IFAD headquarters in Rome. 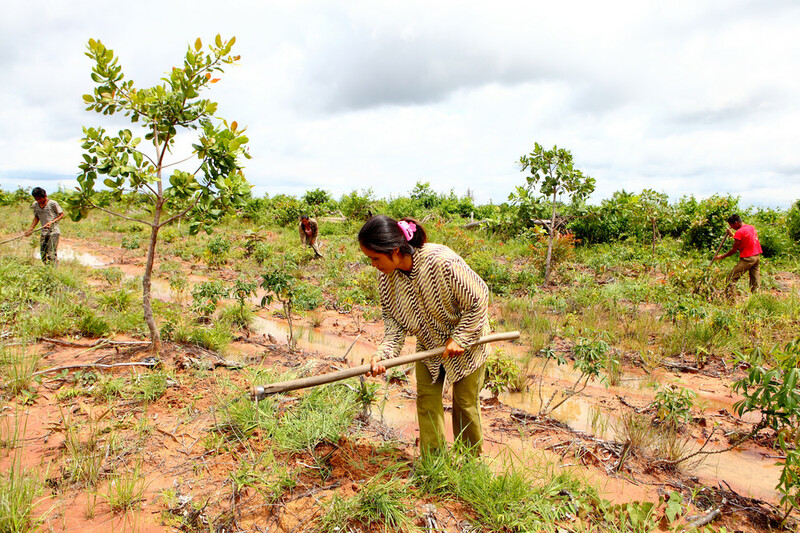 Farmers in the region continue to invest in agroforestry. 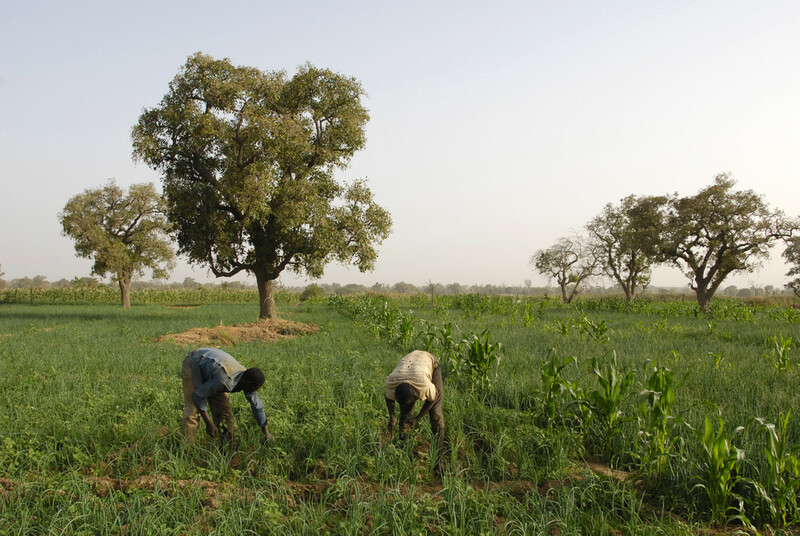 During the 2005 famine in Niger, villages that had invested in agroforestry had less infant mortality, because trees could be pruned or cut and sold, which generated cash with which farmers could buy cereals. Trees also produce fruit and leaves with high vitamin content for human consumption. Did you know that forests cover one third of the Earth's land mass, performing vital functions around the world? Around 1.6 billion people – including the members of more than 2,000 indigenous cultures – depend on forests for their livelihood. 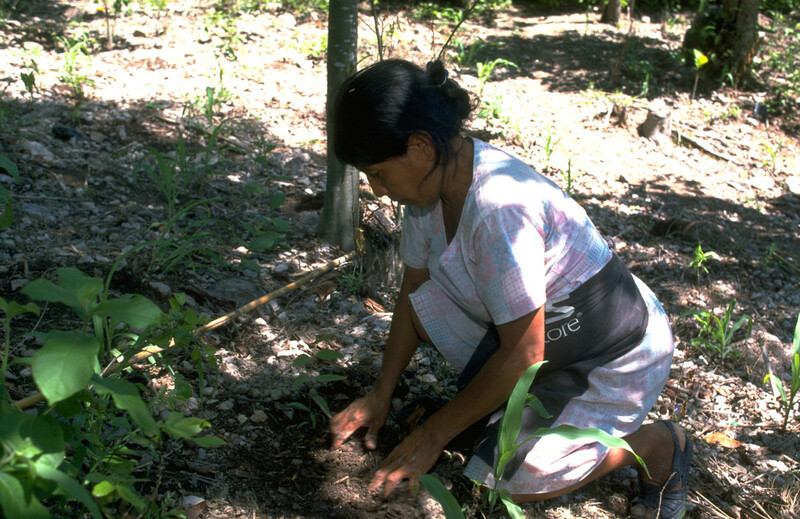 IFAD supports the sustainable management of forests, for example through a project in Latin America where forests cover 40 per cent of total land in the region, and numerous rural communities and indigenous peoples live and thrive in them. The Community-based Forestry Development Project is being implemented by Mexico’s National Forestry Commission (CONAFOR) in cooperation with project participants. It works to strengthen the capacity of communities to better manage their natural resources, adopt conservation practices such as increasing vegetation cover, and establish mechanisms to cope with the impact of climate change. Trees can be grown as cash crops and they can be used for carbon trading – both activities help give small farmers a steady income. And with a steady income, small farmers and their families have access to a nutritious and healthy diet. In Laos, IFAD is working on a project for the preservation of Bong forests, and helping the Pacoh, an ethnic minority group, to secure their land rights and incomes. Bong trees were once abundant in countries like Laos but, in 2008, overexploitation led the Lao government to declare the trees on the verge of extinction. Now, the Pacoh have been provided with permanent land certificates where they can grow bong trees as a cash crop – ensuring that they have a steady income and enough food throughout the year. Desertification is often the result of human activity and can therefore be prevented or controlled by human effort. Planting trees can be part of this. In Burkina Faso, farmers have had to cope with less rainfall, loss of soil fertility and loss of trees – all of which could add up to desertification. To help farmers manage this threat and adapt to climate change, IFAD has supported a number of projects that work together with farmers to develop soil and water retention techniques. But the biggest payoff come from planting trees. Spreading the cuttings from young Bagana trees, improve the soil nutrients for growing crops. These trees also provide food for animals and people. And even more importantly, a compound released by leaves into the atmosphere stimulates the formation of clouds and rainfall. Indeed, up to 300 000 hectares of lands in Burkina Faso have been rehabilitated using this technique. This is not only helping these farmers to adapt to climate change, it has also increased their harvests. Forests are among the most important repositories of terrestrial biodiversity. Together, tropical, temperate and boreal forests offer very diverse habitats for plants, animals and micro-organisms . 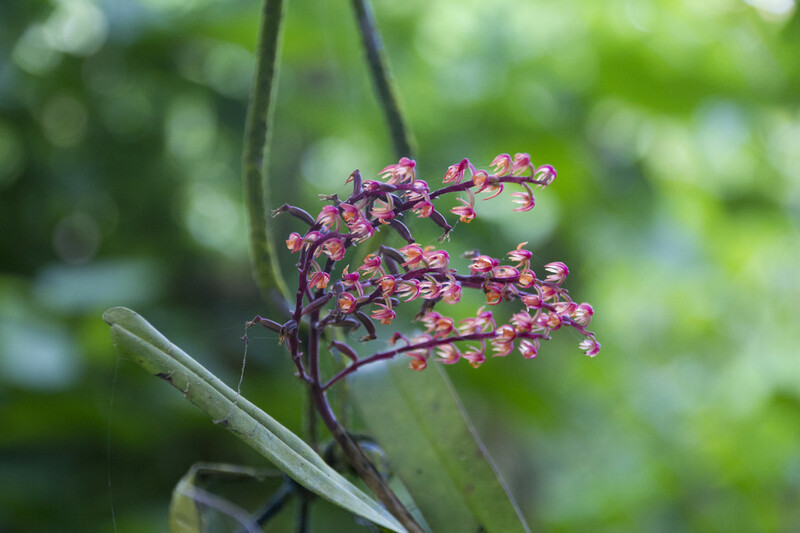 The island of São Tomé is one of the world's biodiversity hot spots. Every day scientists here discover new things. ''We've been coming now for 13-14 years, every time we come here, we find new species, species that have never been described before, I'm just racing to find out what's here before its gone,'' says Robert C. Drewes, Curator of Herpetology at the California Academy of Sciences. IFAD is supporting cultivation of organic cocoa beans on the island. This helps farmers increase their incomes and build partnerships with the organic chocolate industry in Europe. With a steady income from cocoa plantations, farmers also have no need to encroach on protected forests. Join us in celebrating Earth Day – share your stories of #Trees4Earth.